Lovely stay. So close to everything, really convenient. No podía estar más cerca de todo. This luxurious three-bedroom duplex apartment is located in the heart of the city, near Plaça Catalunya. 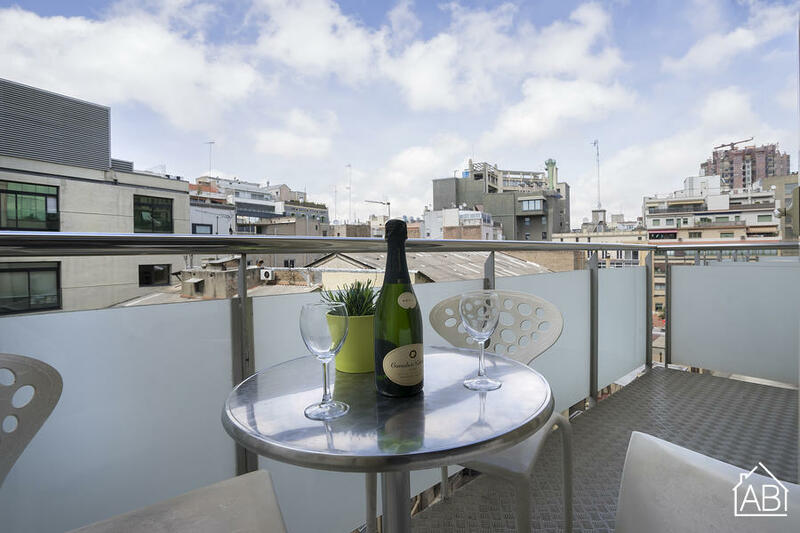 The location could not be better, as guests will find themselves in the very centre of Barcelona, surrounded by plenty of shopping areas, bars, restaurants and sights, with Las Ramblas and Passeig de Gràcia just moments away on foot. A holiday stay at this convenient accommodation will make your adventures around Barcelona easy to plan. This space is one of comfort and style. The apartment can accommodate up to eight people and as it is located at the back of the building, it is very quiet for its central location. The apartment has high-quality, modern furnishings which are seated on classic parquet flooring. The living room has a comfortable double sofa bed and a TV, perfect for relaxing after a day of sightseeing. The kitchen is fully equipped, allowing you to enjoy your very own home-cooked meals, or even try some Mediterranean inspired dishes. If you prefer, you can step out onto the balcony and enjoy your meal al fresco. The main bedroom has an open layout and has a double bed, plus ample storage space for all your belongings. The second bedroom comes with two single beds and the third bedroom, located on the ground floor, also comes with a double bed. There are two bathrooms in the apartment. Both are very luxurious in look and style, completed in white marble and both have fresh towels ready for use upon arrival. The apartment has many amenities, such as a dishwasher, washing machine, dryer and Internet connection. Complete with air conditioning, heaters and central heating, this is the perfect choice for your trip to the Catalan capital, at any time of the year.